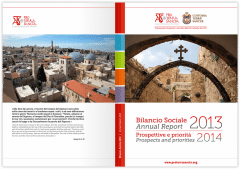 ATS pro Terra Sancta presents, to all friends and supporters of the Holy Land, the Annual Report 2013, Prospects and Priorities 2014, containing details of activities carried out thanks to your help and the voluntary support of several experts in their field. These are the words of Father Pierbattista Pizzaballa, Custos of the Holy Land and President of Association pro Terra Sancta. 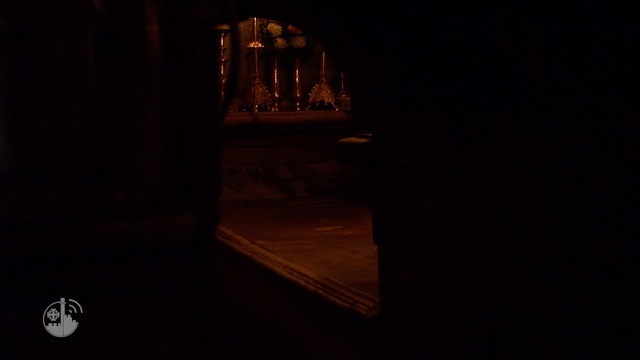 We would like to thank him and all the franciscan friars of the Custody of the Holy Land for their commitment in support of the Christian communities and the conservation of the Holy Places, in name of all Universal Church. Once again I would like to thank – on behalf of all the friars of the Custody of the Holy Land – the staff of Association pro Terra Sancta. In its more than ten years of activity the Association has supported numerous projects, both of a social nature and to preserve the Holy Places, contributing in a significant manner to the continuation of the small Christian minority in the Middle East. The social report that we are presenting documents the results achieved in 2013, thanks to the help – essential – of all our supporters. Together with Association pro Terra Sancta – the secular arm of the Custody of the Holy Land – I urge everyone to support these places and the people who live there. The Land chosen by the Lord to become like us needs the help of each and everyone of us. We cannot, in this historic period, ignore this responsibility. On the contrary, it is truly important to strengthen that bond with the “Fifth Gospel”, which – as the Pope reminds us – is the spiritual birthplace of all of us. Finally, I wish to address all the collaborators of the Association and all those who have placed their skills and talents at the service of the Holy Land: you are a precious resource. What you have already accomplished has provided the living stones of the Middle East hope for a more just future, when this land will be able to be called a land of dialogue and peace. Together, let us continue along this path. Click here to browse the 2013 Annual Report and explore the many activities carried out in support of the living stones and the stones of memory in the Holy Land.